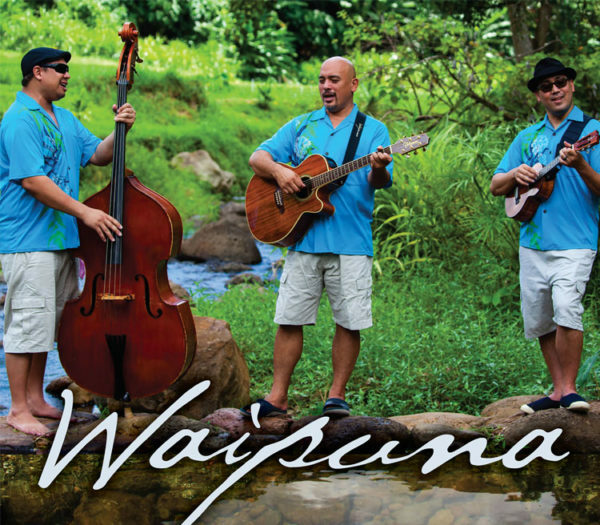 Waipuna’s fifth album, self-titled Waipuna, celebrates the 10 year anniversary of this award winning group. The theme of album focuses on wai – water, or waiwai – importance/richness, as the group pays its respects to the importance of hard work and dedication, while representing the meaning of Waipuna – spring water. This eclectic collection of 15 songs represents the various stages of Waipuna’s evolution as a group. This evolution is demonstrated through by the arrangements of mele that are done either individually, as collaborations of Kale & Matt (as the original members), or as a whole group. The album also features guest appearances by Kawika Kahiapo, Nathan Aweau, Kamaka Kukona, and many more talented artists. Waipuna is truly an album that represents all that the group has accomplished in the past 10 years, while promising a bright future and high expectations for the future of the group.